Tea-time is a British tradition dating back many, many centuries. 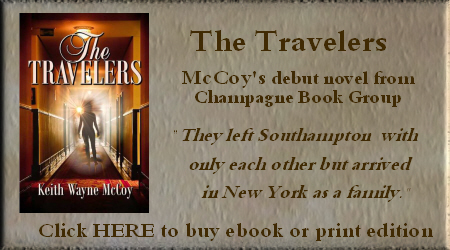 Even aboard liners, the tradition was observed daily at 4 in the afternoon. Cunard White Star chose “the cube” design for their newest superliner Queen Mary. 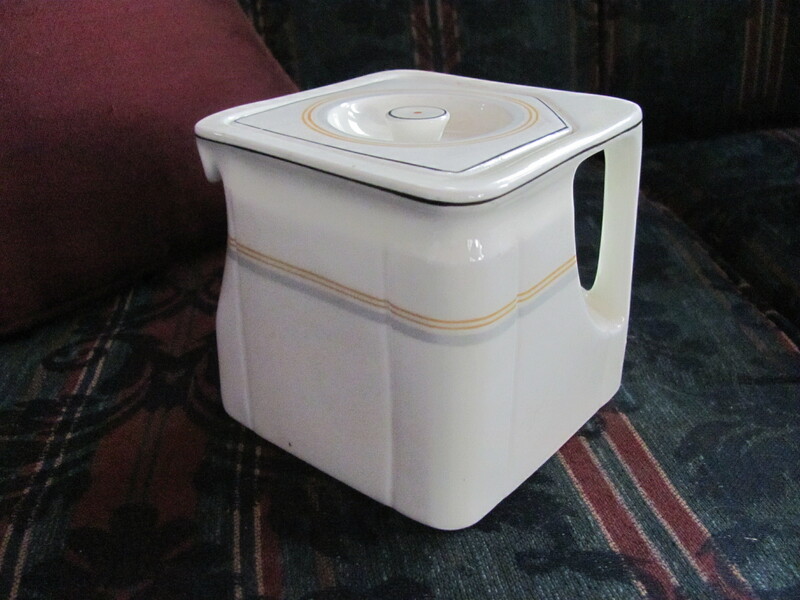 The square teapot, coffee pot, creamer, sugar, and other pieces were utilized because of their ease in storage and less prone for breakage. 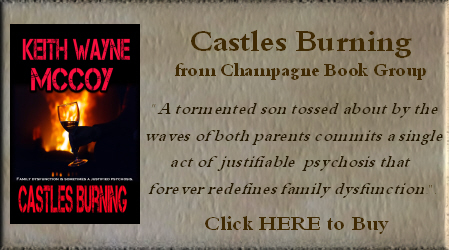 Whether in the opulent public rooms such as the Lounge, Smoking Room, and staterooms, the thousands of passengers partook of this charming tradition. As can be seen in the above photos, the design was simple but elegant. 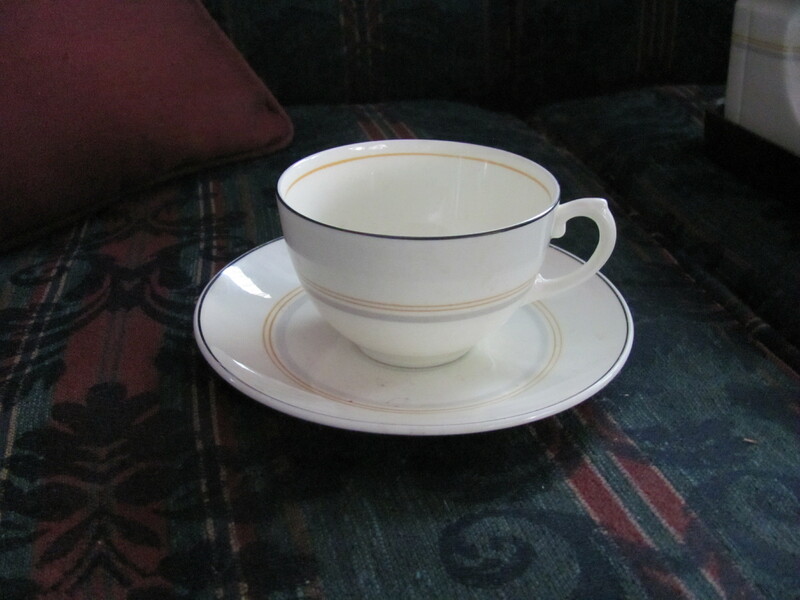 Earlier liners were stocked with what might be considered gaudy decoration today but this design by Foley was immensely popular and dispensed with elaborate designs for a more restrained version of First Class china. The design was immensely popular with the traveling public as it was not fussy or pretentious. Like everything on the liner from the furniture, silver, and decoration, the stately magnificence of Queen Mary was reflected. She was (and still is) luxe in every sense of the word but not stiff and unapproachable. Passengers reveled in the warmth of her interiors and the incredible ability to be a member of royalty and the commoner at the same time. 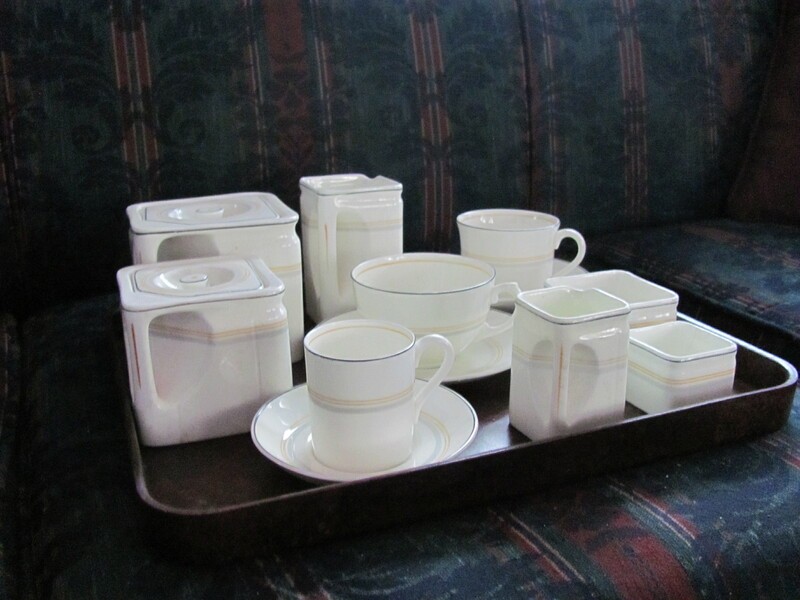 The tray was used for outdoor use, to carry the tea sets to those who sat in deck chairs and enjoyed the North Atlantic view. 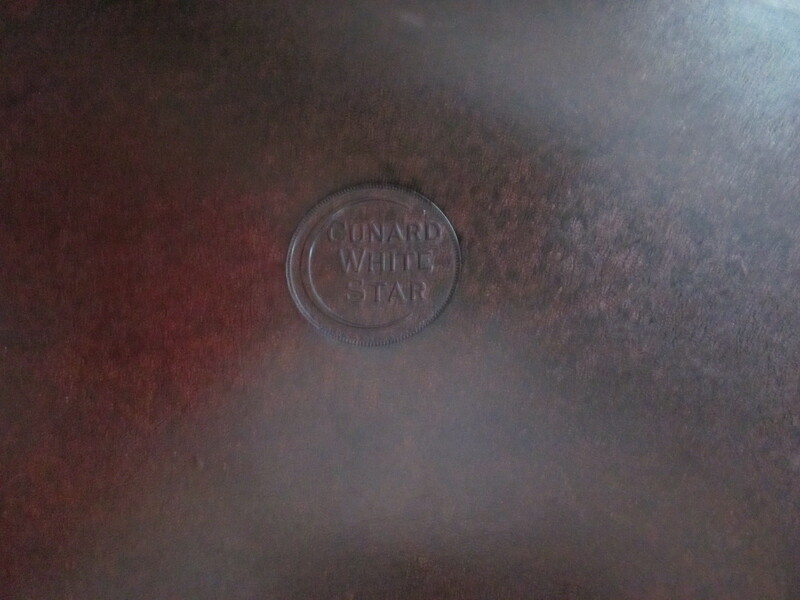 All of these pieces are marked “Cunard White Star”, even the tray, indicating that they were used from the maiden voyage to her retirement 3 decades later.